Odds are, you’ve spent a class period laughing and swooning over the many posts on the Mizzou Secret Admirers page; there are sweet posts, funny posts and more. 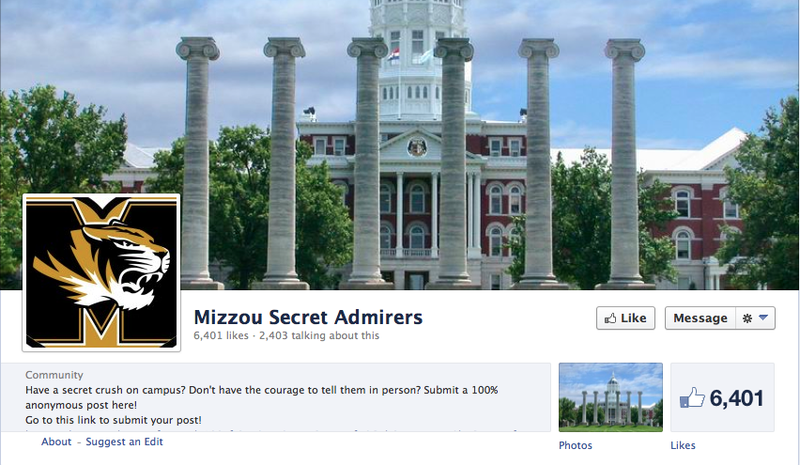 However, Mizzou Secret Admirers isn’t the only Mizzou Facebook page we love at College Gloss Mizzou! Mizzou Confessional is filled with funny, sweet and serious confessions by your fellow Mizzou students, and Mizzou Compliments is full of wonderful things about many people on campus. Check out some of our staff’s favorites here! What are some of your favorite posts on the Mizzou Secret Admirers, Mizzou Confessional and Mizzou Compliments Facebook pages? Let us know in the comments!